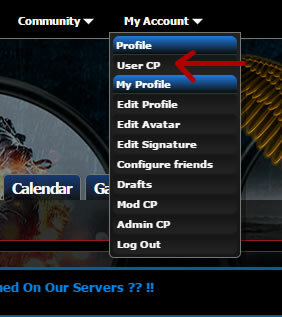 We have added a new plugin on site to help link all your social networking sites on site. Once on this page just fill out the profiles you'd like to link and then select Save. 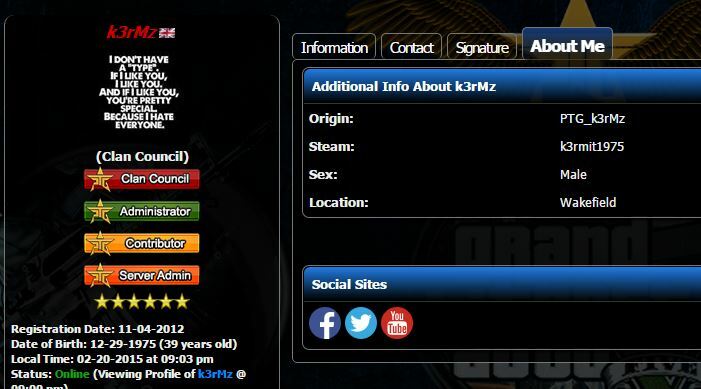 1st one is on your profile page under the about me tab. 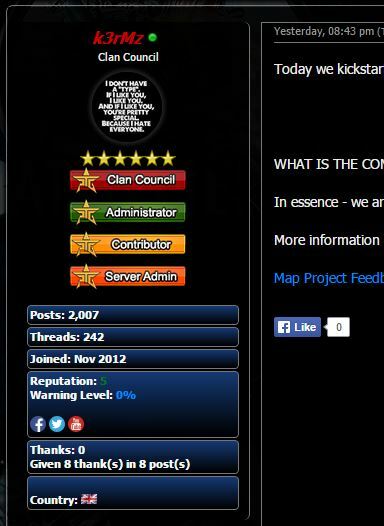 We have also changed the user bars on site with some new updated ones as discussed within our clan meeting, you can see a few of them in the images above.